Now you can lose weight from home and enjoy all of the benefits that MedShape has to offer. No need to live by a MedShape Weight Loss clinic location to experience there real weight loss results that our patients receive. MedShape offers a comprehensive 6-week program that will kick start your weight loss. Here is what you will receive in your package. Just because you do not live near a MedShape location does not mean you have to miss out on the benefits that MedShape Weight Loss Clinic offers our patients. 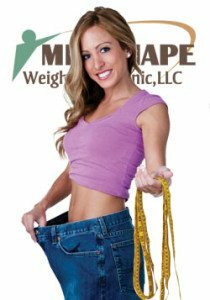 The MedShape Home Weight Loss Program is based upon the same principles as our clinical program, but has been modified for optimal home program results. As a patient who chooses this program, you will be communicating directly with one of our experienced weight loss counselors. This is done by phone, email, FaceTime or Skype. You can choose the best communication tool based on your preference. Now everybody can lose weight the MedShape way! Call Now or fill out our side form for more information and get started on your weight loss journey. *Results are not guaranteed and may vary depending on adherence to the MedShape nutritional plan and current medical conditions. Click here to read full disclaimer.